Within GiftLogic 2017, items can be designated as being sold by weight, immediately alerting the cashier to weigh the item at checkout. From there, the software calculates the cost based on the item's actual weight and the pricing parameters previously entered (such as cost per pound or ounce) and then populates the transaction accordingly. In the past, GiftLogic supported scales from Avery Berkel. With GiftLogic 2017 that support now includes 6700U Series Brecknell POS Bench Scales. 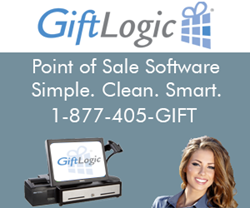 Designed to be both robust and easy to use, GiftLogic point of sale software is an affordable, comprehensive cash register and inventory management platform. It is ideal for use in everything from a mom and pop general store to jewelry stores, hardware stores, office supply stores, bookstores, toy stores, clothing stores, grocery stores, and beyond. Optional modules such as integrated credit card processing, gift registry, consignment, fingerprint integration, and QuickBooks integration are also available.